Owned and operated by Jonathan Cares. Jon is a 30 year fire service veteran and served with the Pelham NH Fire Department (call-retired) and currently with the Londonderry, NH Fire Department (Full time Lieutenant/Paramedic). 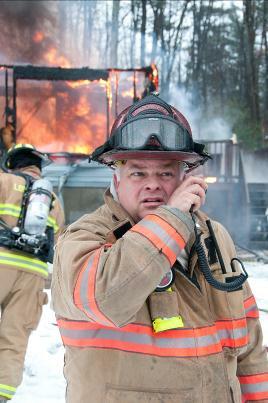 He is a former State Fire Instructor, State HAZMAT Instructor and served as the Chief of the New Hampshire Fire Explorer Training Academy for 15 years. Jon has been a member of numerous fire apparatus design committees throughout the years, and has sat on YOUR side of the table. This gives him a special insight into the design, operational and fiscal challenges each fire department experiences when purchasing new apparatus. He can help you design the right piece of apparatus for the right application, and will also spend as much time as necessary to ensure that your entire department is fully trained after the apparatus is delivered. Full service “Sole Source Warranty Service” means that you never have to worry about who to turn to should you have a warranty issue, just CALL JON!